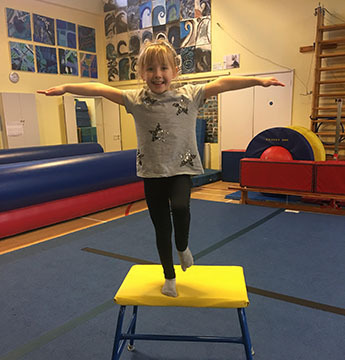 Hammersmith Gymnastics Club – Excellent gymnastics equipment, fully air conditioned, structured classes aimed at improving strength, balance, flexibility, body co-ordination and above all to have fun. Hammersmith Gymnastics Club started in September 2009 starting with only 25 children. Current members now stand at over 400. The Head Coaches Ashley and Sarah are ex British Champions and have competed for Great Britain at International, European and World championships in Sports Acrobatics and Sports Aerobics. Between them have been coaching for over 40 years. H.G.C. is a recreational club for the ages of 4½ to 15 year olds. We are based at Bute House School that has excellent gymnastics equipment and is fully air conditioned. Our structured classes are aimed to improve strength, balance, flexibility, body co-ordination and above all to have fun. All of our coaches are C.R.B checked, fully qualified with British Gymnastics and experienced in their respective fields. All three of our children have attended Hammersmith Gymnastic’s classes and holiday clubs for five years now; they have all had a fantastic time and really look forward to going each week. Ashley and Sarah and the coaches are always so encouraging, challenging them exactly the right amount but also ensuring that they enjoy themselves. The end of year club competitions are pitched perfectly so everyone can be involved and feel like they have achieved their best. Our oldest daughter has been given the opportunity to coach younger children, and begin getting qualified as well. And, finally, Hammersmith Gym is amazingly good value compared to some of the other local gymnastics clubs! 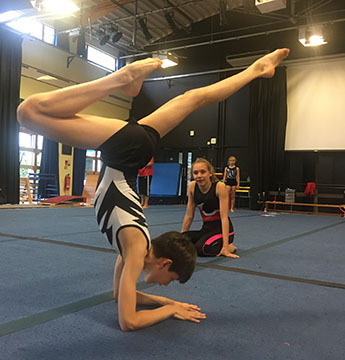 Our children (now aged 9 and 7) joined HGC two years ago, and their ability at gymnastics has increased hugely. The instructors are all very positive and supportive, and clear in their directions and advice. The equipment is all well-considered for each class, and each lesson includes a good balance of practise and introducing new skills. 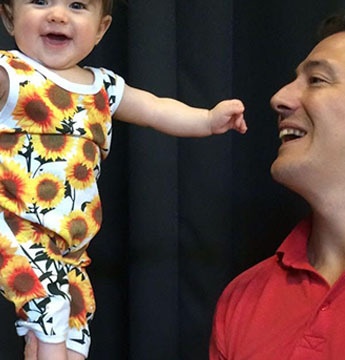 Thanks to HGC, our son and daughter have excellent balance and agility, a great passion for gymnastics, and a positive attitude to exercise. Many thanks!